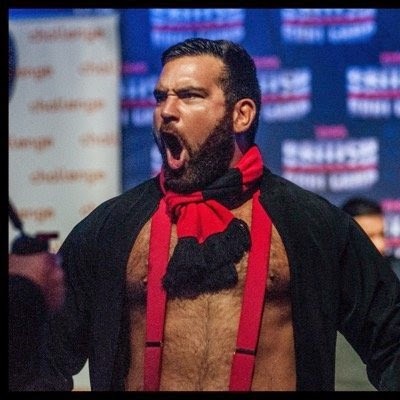 In the first of a new series of articles, that will see British wrestling fans writing about their favourite promotion from across the country, Sean Taylor-Richardson takes a look at his favourite company, Revolution Pro Wrestling. In 2013, I had a moment. As a dedicated wrestling fan of 18 years, I experienced an epiphany as it dawned on me that I had only really followed the televised American promotions. During the 1990s, when my interest was piqued and my obsession formed, I was fed a steady diet of grappling from the States: from the WWF on Sky to WCW via TNT and ECW by means of Bravo. In the noughties, WWE’s presence on Sky grew greater whilst TNA regularly found its way onto my screen. However, whilst in New York in April of 2013 (for a week of WWE related festivities), I had the chance to attend my first indy show. ROH were playing the Manhattan Centre. Now what happened that night is, without exaggeration, a blur (I’ll revisit the evening in a future article, Wrestling and beer: the drinking chronicles). Fortunately I managed to soak up more than pint after pint of Heineken and absorbed enough of the action and atmosphere to convince me to try indie wrestling when I returned to our British Isles. So later that year, I looked at the upcoming cards on the UK Indie circuit to see what took my fancy. In a wonderful moment of serendipity, a certain name appeared. It was the same name that appeared on my Sky Sports screen when I first fell in love with Wrestling in 1994. That name was Bret “Hitman” Hart. 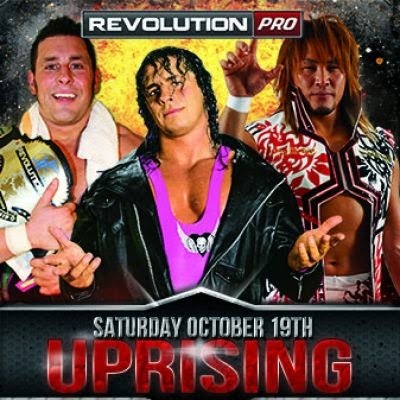 On Friday 18th October 2013, myself and my brother attended the Revolution Pro Wrestling event, An Evening with Bret Hart. Photos were taken with a childhood hero and we left the Walkabout venue thinking nothing that weekend could top the previous few hours. 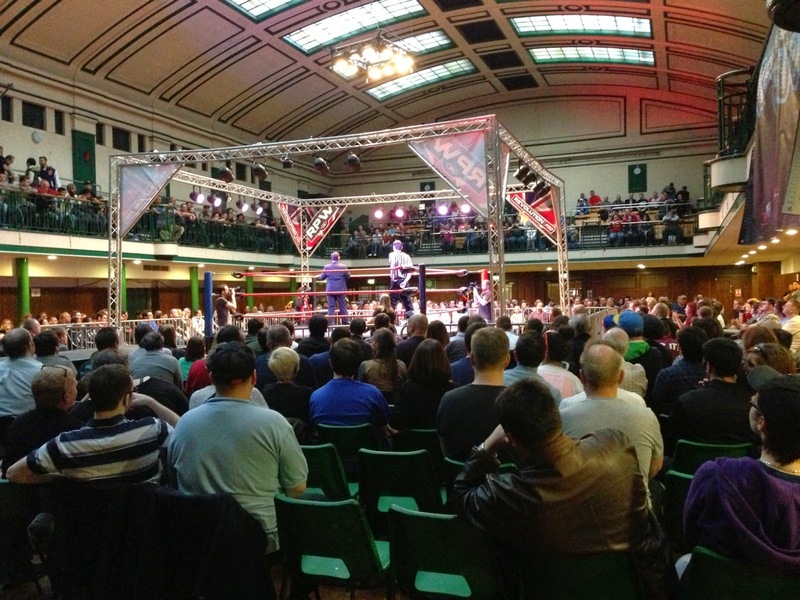 But then the very next day we attended Rev Pro’s other offering: Uprising at York Hall. And what a show it was! Prince Devitt vs Ricochet and Zack Sabre Jr vs Davey Richards were 5 star belters. Noam Dar vs Michael Elgin and Marty Scurll vs Hiroshi Tanahashi (which featured a Bret Hart run-in) delivered in spades. As well as state of the art 21st Century wrestling, there was incredible comedy as Colt Cobana teamed with Grado! This event was one of the best shows I’d ever attended and proved that Indie wrestling was as deserving of my time and money as the big leagues. Since then, I’ve attended all three of the York Hall super shows held in 2014. Rev Pro guarantees the best quality imports on our shores. You want future WWE stars, Rev Pro books ‘em: Kevin Steen and Prince Devitt (now going as Kevin Owens and Finn Balor respectively) spring to mind. How about a nostalgia act? Sting, Rikishi and Two Cool should be right up your street. If it’s the stars of New Japan, how about The Young Bucks, Kazuchika Okada, Shinsuke Nakamura and The Bullet Club. Invariably these acts matched up with the best of British talent: Will Ospreay, Martin Stone, Joel Redman and Sha Samuels to name a few. Samuels is particularly entertaining as he and his stable mates Terry Frazier and Josh Bodom work the crowd into a frenzy during their entrance and remind us all just how were supposed to feel about heels (speaking of Samuels, at a show in Sittingbourne, he once threw my brother’s shoe onto a window ledge). The matches work both as stand-alone, fantastic indie spectacles but also as part of on-going stories that entice you into counting the weeks until the next card. Nothing feels inconsequential. At the recent October Uprising event, world title matches and tag team wars were masterfully built for the forthcoming February show, High Stakes. This allows regular attendees to feel attached to the product and see each show as a must-see, an episode of wrestling drama not to be missed. My anticipation for Marty Scurll vs Spud and the eventual showdown between Redman/ Stone and Team Paige is undoubtedly greater for having been part of the live crowd that witnessed the electric angles unfold. being one of Britain's best known boxing venues, it is quickly becoming a hotbed of wrestling (as evidenced by TNA recently filming some of British Bootcamp within its famed walls). Its history and legitimacy is an aspect that adds credibility to proceedings and is a factor many other indie venues just can’t match. The stars booked are skilled and the matches captivating but it is the combination of talent and venue that creates that oh-so-special atmosphere. And the fans are fun fans to be around, loud and passionate but not too smart for their own good. There are cheers and chants but never an attempt to steal the spotlight from what happens in the ring. The people appreciate quality wrestling and show that respect by engaging purposefully with the show. I’ve attended multiple Indie shows in the last two years. I enjoy Progress shows from Camden and had a good time at the IPW Super 8 tournament in Tonbridge. I’ve been to see Rev Pro in my local market, Sittingbourne, fairly regularly. But it’s the York Hall shows that I look forward to like I look forward to a Summerslam or Royal Rumble. The talent, the stories, the rich history of the venue; it’s a combination that in my opinion delivers the best night of wrestling that our thriving indie scene has to offer. If you haven’t checked them out yet do: in a couple of months, at February’s High Stakes show, AJ Styles is coming to play. Daniels and Kazarian step into the ring. And the most talked about podcaster of the year Colt Cobana returns in an angle already heavily promoted on the company website. Whether its hard-hitting wrestling, high spots or big gags, I can assure you Rev Pro at York Hall always delivers all that and more.